At least a dozen of persons were injured on Saturday when security forces clashed with a group of protesting mourners carrying the body of a teenager who died in a hospital here the previous night amid conflicting reports about the cause of his death.Qaisar Ahmed, 16, was brought to the hospital on October 28 in an unconscious state. His family alleged he bore torture marks when he was found a day after he went missing from his home in the Shalimar area on the outskirts of Srinagar city.However, police claimed that the boy had consumed poison. Ahmed died around 10 p.m. Friday.His body was taken in a procession on Saturday morning for a funeral at the martyrs graveyard in the Eidgah area of old Srinagar city. 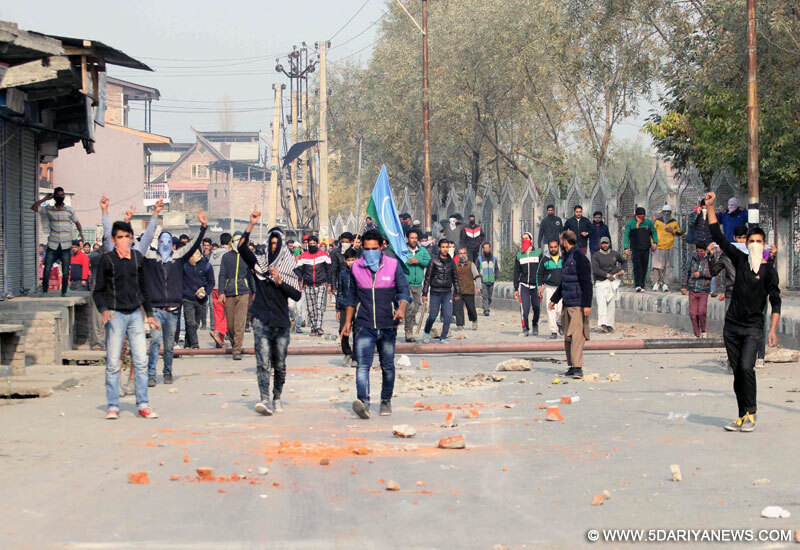 A police spokesman said some angry protesters from the procession threw stones at security forces, resulting in a clash. Police used tear smoke shells and pellets to disperse the angry protesters, causing injuries to over a dozen civilians and security men.In another incident, three policemen, including a junior level officer, were injured on Friday night in an improvised explosive device (IED) explosion in Dadsara village of Pulwama district.Police said militants fired some shots in the area to lure the security men out of the police station after which they exploded the IED.A school was torched in Saidunara area of Bandipora district during the night taking to 29 the number of educational institutions set ablaze by unknown miscreants during the past few weeks in the Kashmir Valley.